Sprouting fodder is something farmers have been done for generations. 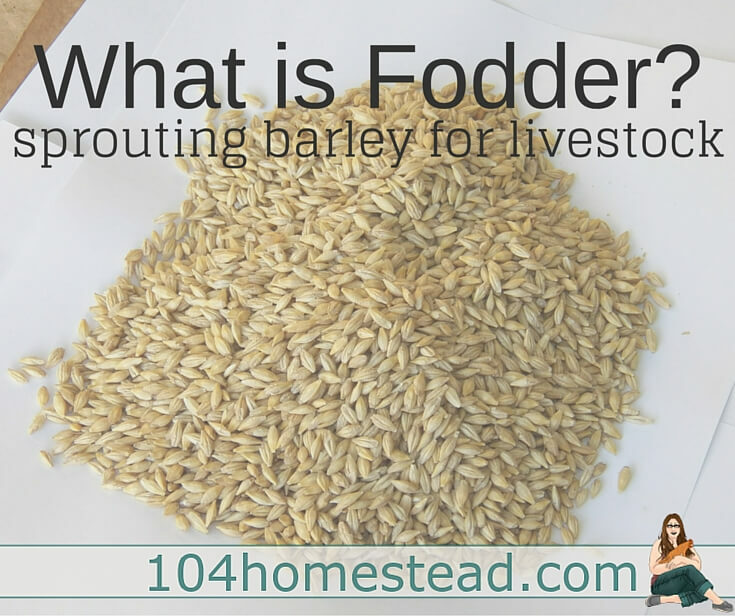 Fodder is defined as food, especially dried hay or feed, for cattle and other livestock. Sprouting fodder growing the fodder and allowing the livestock to eat it at a young stage. This feeding technique can offer a varied diet for livestock at a fraction of the price of traditional feeds. 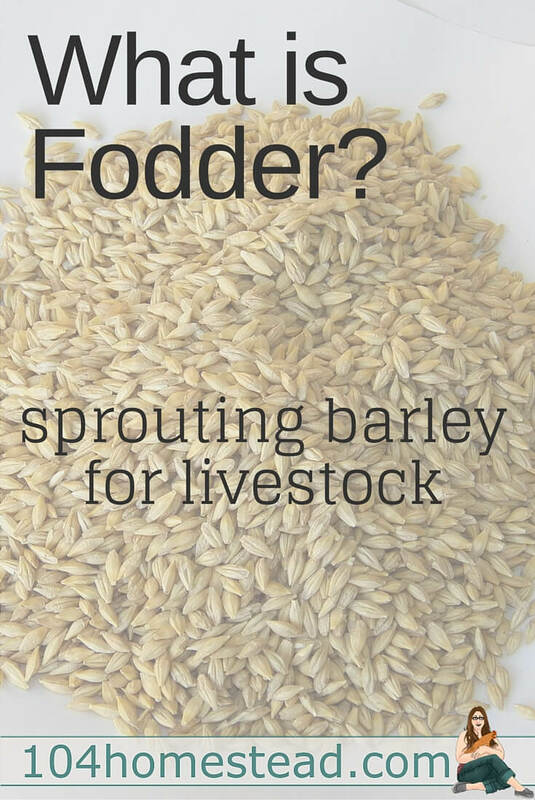 Although you can sprout a variety of grains, today I’m going to chat about sprouted barley because it’s a great all-around grain for livestock. Barley is one of the most nutritious small grains. It’s easy to store and easy to grow. It’s also one of the most cost-effective grains to sprout. One pound of barley seed will produce about seven pounds of sprouted fodder. Sprouted barley is considerably easier to digest than dry grains which means more vitamins, minerals, and proteins. Sprouted grains offer healthy, nutritious greens even in the dead of winter. My goats and chickens absolutely love this special treat. Plus, the chlorophyll and beta-carotene translate to healthier eggs and milk. Score! I buy my barley seeds on Amazon because I didn’t love the quality I was finding locally. It’s actually cheaper to buy online! I buy from Shadetree Farms. They have great pricing, a quality product, and free shipping. How Much Fodder to Grow? 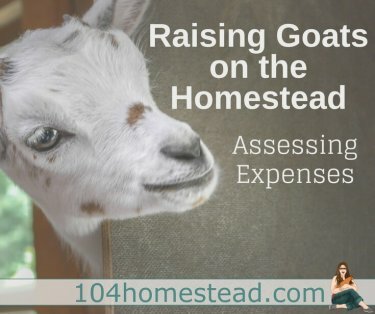 There’s no magic number, but here are the rough amounts that I feed the animals on our homestead. The amount is in completed fodder weight, not seed weight. Remember, there is a 1:7 ratio with sprouted barley. Chickens 1.6 oz per bird in the spring and summer; 2.4 oz in the late fall and winter. Ducks 2.4 oz per bird in the spring and summer; 3.6 oz in the late fall and winter. Quail .7 oz per bird in the spring and summer; 1 oz in the fall and winter. Goats (dwarf) 1.5 lbs per goat in the spring and summer; 2.5 lbs in the fall and winter. Now I don’t actually go out and give each bird that exact amount (though I do for the goats). I put in 2 1/2 lbs once a day for the chickens and ducks (20 birds) to share and about 1 lb for the quail (18 birds) in the spring and summer and a bit more (broken into two feedings) in the late fall and winter when the birds don’t have access to greens. Here’s a great instructional video that can probably explain the process better than I can. Special thanks to The Tactical Homesteader for the awesome video. Save a few dollars and get containers from the dollar store. We spent $2.50 a piece for ours and they’re practically identical to his. Because I’m not tall enough for a setup like his, I do what he suggests and have a 3 on one side, 4 on the other. If you combine your sunflower with the barley (no more than 5% of the mix should be sunflower), it eliminates the mold and mildew issues as well as the growth issues he mentions. Although I understand his concern about using the “dirty” soaking water to flush the system, I use the soaking water to flush and haven’t ever had a problem. If water conservation is important to you, feel free to give it a try. Can You Keep Different Sized Poultry Together? Hello! I plan on setting up a fodder system for my quail very soon but I was wondering what you use as another protein source for them? Pumpkin seeds (intact or sprouted) are an excellent source of protein. 33% I believe. Hi, I am in Australia in the Alpine area and have a small flock of sheep and a few Alpacas. Can you suggest any type of sprouts that I can grow for them to supplement their winter feed as they do not like any of the hays that are easily accessible to me. They are a bit spoiled. Also it may be that I need different types of sprouts for the Alpacas. Please let me know when you have a chance. Enjoy your emails and the wealth of info that you put out. I don’t know much about alpacas or sheep, so I’m going to approve this comment and hopefully someone with more experience can help out. I’d hate to give bad advice. I don’t know if you ever found some good info, but here’s a post from fodder thread on a chicken forum written by someone who raises alpacas and sounds like they know what they’re talking about. They’ve also included some links to their own site with lots more info. Hope that helps (and that you see this). Thanks Nathan! That’s really helpful!